Check out our new and exciting fireworks that we have coming for 2019. We have been busy over the new year picking out the best fireworks for our customers to ensure you keep coming back for more. 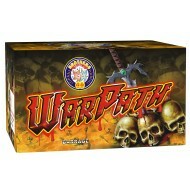 We think that you will be very happy with the fireworks that we have selected for this year. Brothers Pyrotechnics really have put some great work in and have brought some fantastic products forward for this year. Make sure you watch the videos and watch the action unfold. NEW FIREWORK FOR 2019. New World similar to New World, Surprise is a brand new firework by Brothers Pyrotechnics and a beautiful barrage, that could easily be used as a gender reveal with its strong red colours. 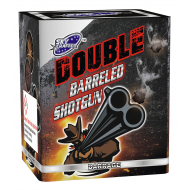 This is a fantastic sky filler and a great addition to any fireworks party when it arrives later this year! Fireworks can be a truly special way to reveal the gender of your baby, if it's a girl! NEW FIREWORK FOR 2019. New World similar to Overdrive, is a brand new firework by Brothers Pyrotechnics and a beautiful barrage, that could easily be used as a gender reveal with its strong blue colours. 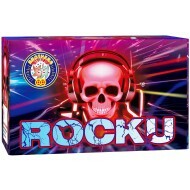 This is a fantastic sky filler and a great addition to any fireworks party when it arrives later this year! Fireworks can be a truly special way to reveal the gender of your baby.